Broker Summit is 'SOLD OUT" but we'll be LIVE on Facebook for portions of the event! 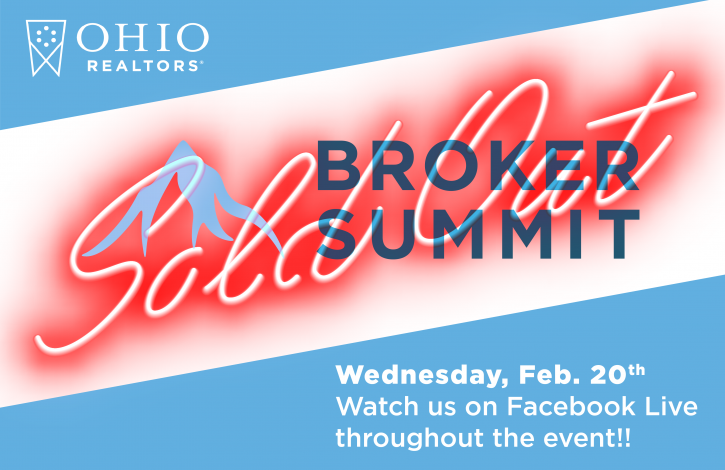 The first-ever Ohio REALTORS Broker Summit is "SOLD OUT!" If you missed out on registering for this special program featuring the nation's leading real estate visionaries -- notables such as Rob Hahn, Sean Carpenter, Finley Maxson, Eric Stegemann and more! -- you'll be able to at least get a look at all the excitement via our @ohiorealtors Facebook page during the event. We'll be using Facebook Live periodically throughout the day, starting at 9 a.m. on Feb. 20. Mark your calendar and plan to get social with us!